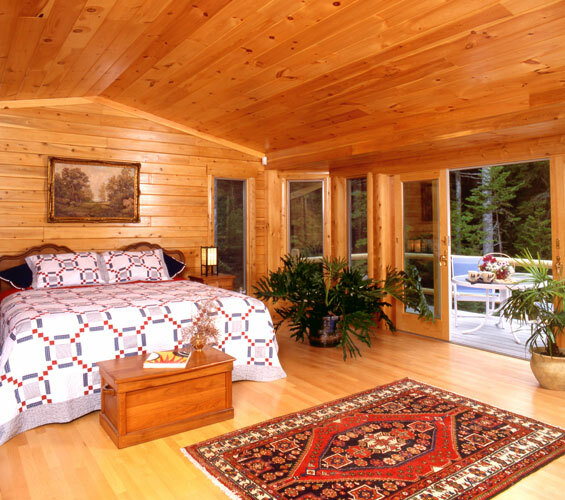 "The home blends the convenience of one floor living with a loft that is ideal for overnight guests." 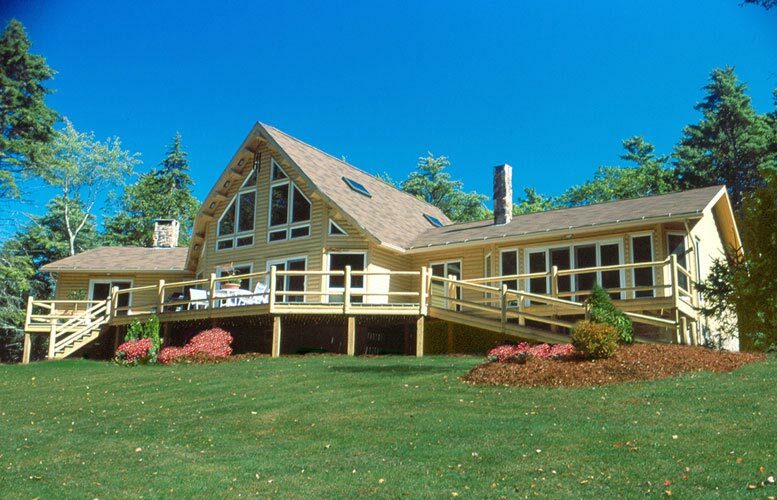 The owner of this Ward Cedar Log Home is a retired teacher who fell in love with a picturesque coastal Maine village and this Ward Cedar Log Homes design. 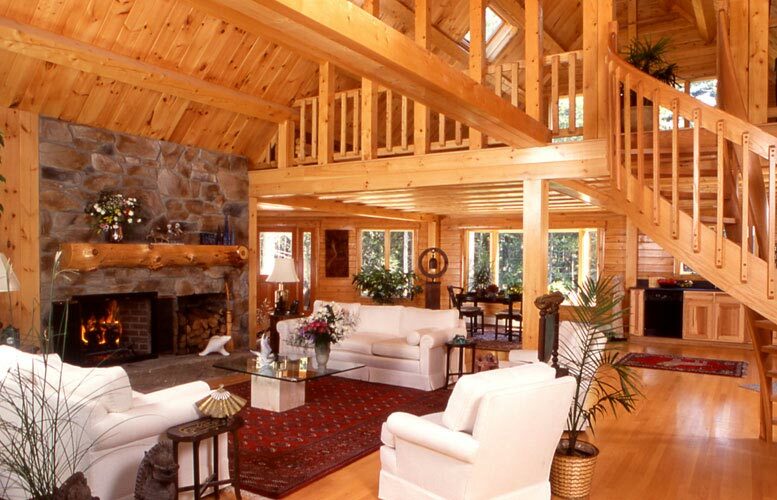 Says the plain-speaking Midwesterner who adopted Maine as her new home, "I had already designed and built the home in my mind and knew exactly where every piece of furniture and artifact that I had collected over the years would go. This happened long before anyone put pencil to paper to sketch the floor plan." 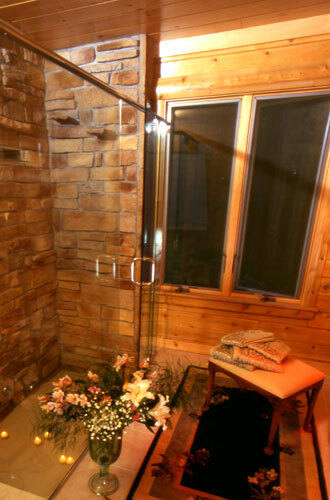 When it came to selecting a log home company, there was no mystery about Ward being this customer's first choice. 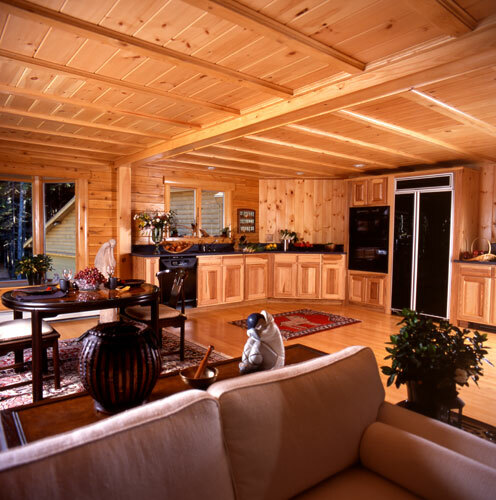 The company offered solid cedar construction, and Ward sales representatives Sandy and Jim Smyth lived in the same town. Ward's reputation for quality, service and old-fashioned Yankee value was well known in this friendly coastal community. "This design offers one floor convenience, which retired folks and new families with small children like. The second story loft is usually reserved for guests — giving them their own space and a sense of privacy away from the main living area," explains Sandy Smyth. Northern White Cedar develops a silver patina prevalent in New England seaside communities when left to weather naturally. This remarkable wood can also be stained in any hue. While deep sienna, umber and honey are popular, this owner chose a satiny yellow-ochre. She notes, "It makes New England's winter skies seem not so gray and adds a grace note to every sunny day."